Even in today’s economy, it is possible to repair damaged credit ratings, says TexasLending.com TexasLending.com, one of the leading mortgage brokers in Texas, says that people with a credit score of just 620 may be eligible to buy a home at the present-day low rates and bargain prices. However, many Americans are sitting on credit ratings of 500 or less and fear the American dream may never become reality, reportsTexasLending.com. Here, TexasLending.com offers some practical advice about how to get a wayward credit score in position for future purchases. According to TexasLending.com, many people don’t want to see their score out of fear of the unknown. It’s important to face those fears and check your credit report from all three major credit reporting agencies, says Kevin Miller, CEO of TexasLending.com. Experian, Equifax, and TransUnion all calculate scores with a slightly different algorithm and some creditors may not report to all three. Even if one score is under that 620 point mark, the average is what most creditors look at so you may have better overall credit than you’d expect, points out TexasLending.com. Either way, knowledge is power and once you know where you stand you can decide where you are going. This is easier said than done for many, notes TexasLending.com. But, there are ways that you can shave dollar amounts off your debt to income ratio without sacrificing your daily life. 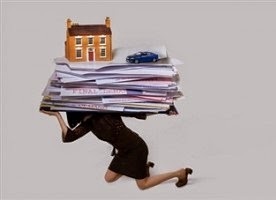 TexasLending.com says to prioritize what debt is paid off first in order of the amount due. Start paying the smaller debts off before tackling the heavier loads. This allows you to owe money on fewer accounts and, as you finally see $0 balance due statements, gives you a sense of having done something. It also offers encouragement that a debt-free life is possible, says TexasLending.com. As for the other bills, make the minimum payments on those and then, when the first debt is settled, use the extra money you would have paid on that to increase your payment on the next. Continue this snowball effect until everything is paid. TexasLending.com points out that paying on time, every time, is one of the principal factors that affects a credit score. While many people can still finance a home or a car with one late payment on record, two or three can prevent lenders from even considering you as a reliable borrower, says TexasLending.com. Paying when you are supposed to will increase your scores steadily and dependably. TexasLending.com also advises customers to keep their revolving debt low. In other words, credit card and department store debt should comprise the least amount of money you owe. Regardless of how many accounts that you have or how much you owe, there is no substitute for time. It takes years to build a beneficial portfolio of accounts – the longer you own accounts in good standing, the higher your credit score will be.